Dr. McMurtrey normally sees patients from 7am-4pm Monday – Thursday, but the hours and days are subject to change. 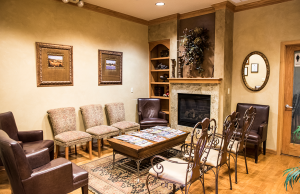 Please call us at 303.422.6464 for your appointment. You’ll need to arrive early to fill out our check-in forms, or you can click on the forms button below to print them and bring them with you. Minors should be accompanied by a parent or guardian at the first appointment. Endodontic therapy is usually completed in one appointment. If you have dental insurance coverage, please bring in your insurance information and ID cards and we will be happy to file your claim. Click here to print our check-in forms. You may be required to download free Adobe Acrobat software in order to download these forms. Click here to go to the Adobe Acrobat page and download the reader software.